The new Konftel 300Mx is simply revolutionary. 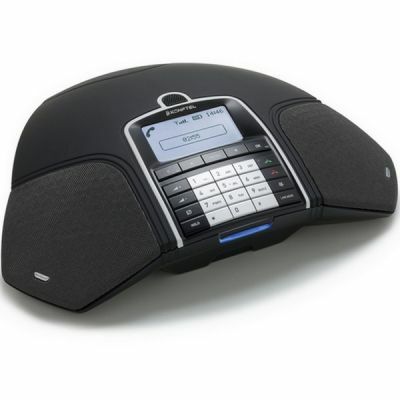 Never before, has there been an audio conferencing system with such impressive and innovative functions. With its elegant design, this conference phone is ideal for spacious conference rooms (up to 30m2), as multiple expansion microphones can be connected to the device at one time. Thanks to OmniSound 2.0. technology, this conference phone offers excellent sound quality as well as HD Voice compatibility.